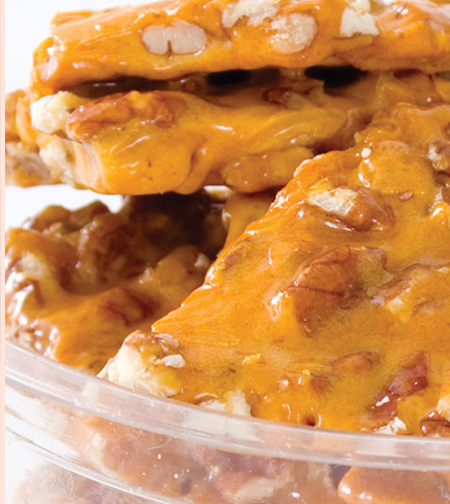 Pecan Brittle, Pecan Brittle: Oliver Pecan Co.
Our old fashioned pecan brittle is a Southern tradition. Our brittle is made in small batches in our copper kettles, poured on marble tables and hand pulled. We don't skimp on the pecans. This is the best pecan brittle I have ever had - and I have eaten a lot. Really a great taste and not too hard. Just right.